Brewer Academy got inspired during their “Building Bridges, Building a Brighter Community” assembly last week. 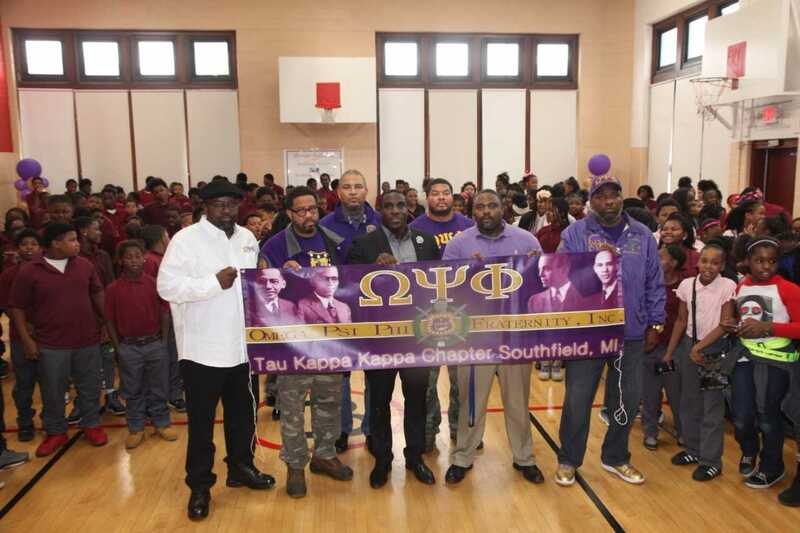 The men of Omega Psi Phi Fraternity spoke to the students to inspire them to be the change they desire to see in their community. Phil Black, founder of the Manhood Project and awardee of the President Service Award by Barack Obama, spoke to the students about their role in life and the community.